Love is the foundation of a caring perspective. When we love one another, it shows in the way we live both professionally and personally. We're proud to say that love is at the heart of everything we do as a company. At HomeCare Transitions, our private duty home care agency serves seniors, the disabled, and those suffering from serious injuries. We truly care about our clients' needs, making us the perfect choice when you need a trustworthy home health agency to serve you, a family member, or a dear friend. Because all of our staff goes through an extensive and strict hiring process, you can have complete confidence in our ability to care for you or your loved one. We pride ourselves on employing the best caregivers, building quality relationships with our clients, and offering great home care services. Our comprehensive approach to in-home care includes housekeeping, laundry, chore services, transportation, and more. With 2- to 24-hour care available, finding the perfect care schedule is easy. Get in touch with us today to request a free in-home assessment; we look forward to serving you. We happily serve Southwest Michigan, including Allegan, Barry, Branch, Calhoun, Cass, Eaton, Hillsdale, Jackson, Kalamazoo, St. Joseph and Van Buren counties. We're in need of Homemaker Companions (HMCs), Personal Care Assistants (PCAs), and Certified Nursing Assistants (CNAs), as well as Licensed Practical Nurses (LPNs) and Registered Nurses (RNs). We need individuals to work in home care jobs, as well as professionals to work staff relief in assisted living facilities, long-term care facilities, nursing facilities and hospitals. We understand that flexibility is essential to your lifestyle, which is why we offer a range of positions to meet your needs. We also offer dementia care certifications to enhance your professional profile. 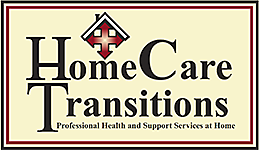 HomeCare Transitions is always looking for gentle, compassionate, motivated care givers. And To ensure that our clients receive the best care available, we want to make certain that anyone who works in our care network is qualified for the job.